Botanically speaking, bell peppers are fruits, but are generally considered in culinary circles to be vegetables. Bell peppers are also known as sweet peppers, peppers or capsicum. The fruits are cultivated in a variety of colours often sold to market in a traffic light configuration (red, yellow and green). 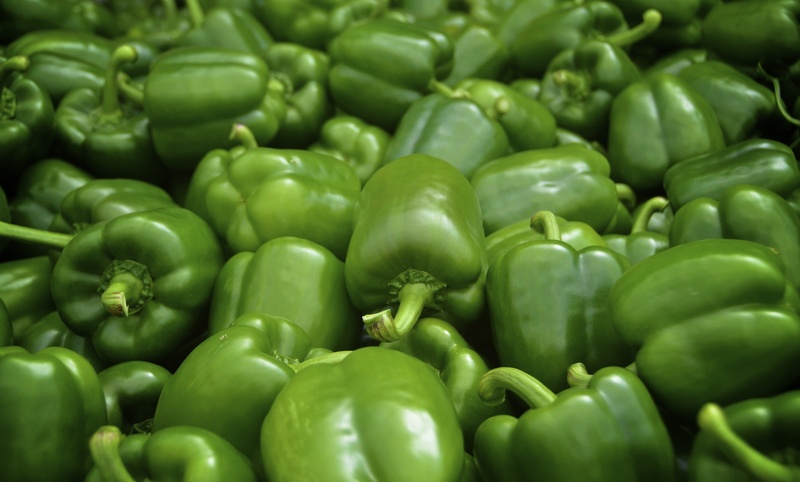 Green bell peppers are harvested before they have ripened completely. 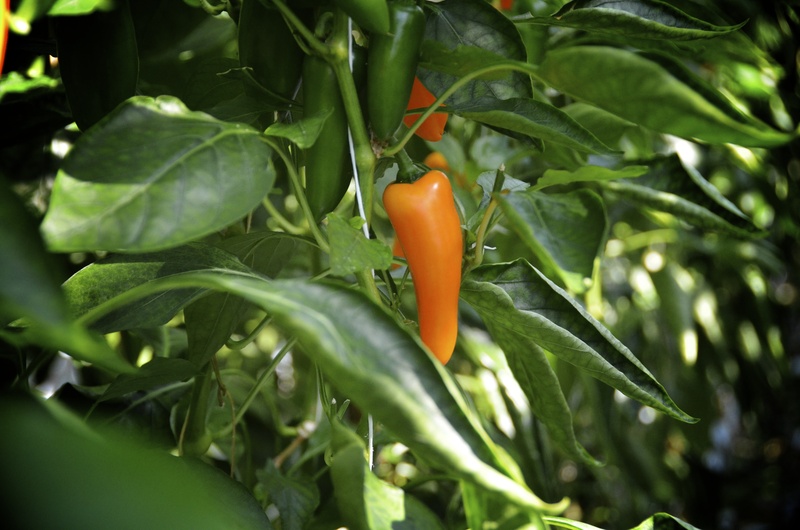 On the plant, a bell pepper will grow green and as it ripens will turn yellow, then orange and then red. As a result green peppers will have a more bitter taste as compared to the brightly coloured peppers, which offer a more fruity taste and red bell peppers a sweeter taste. In order of highest sources of nutrients, it appears as though the more colourful bell peppers offer the most and green the least (however, interestingly, green peppers have a higher percentage of Vitamin A over yellow peppers). But generally, the values seem to rise with their ripening. The images of these peppers were taken by me at Windset Farms, Delta, B.C. Canada. Try my Roasted Red Pepper Soup with Potato recipe. Try my Roasted Red Pepper Soup with Sweet Potato recipe.